It does not always have to be a scary haunted Halloween! This year, Johnnie Walker is taking it up notch by celebrating it’s individual taste and personality of Johnnie Walker Black Label, a variant of the Johnnie Walker Series. 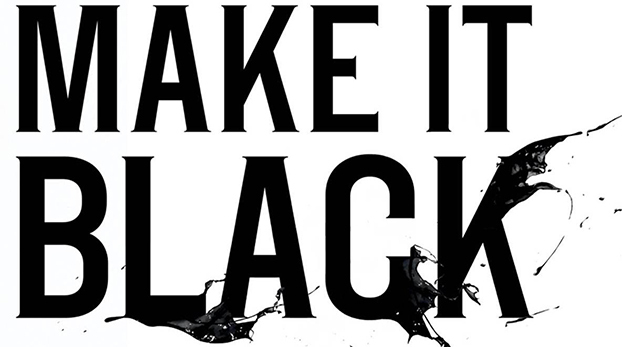 Johnnie Walker Black Label had recently launched a new global campaign on the 14th of October 2014 called Make it Black. The campaign serves as a significant milestone for the brand as it evolves away from the classic image of JOHNNIE WALKER BLACK LABEL into something that’s edgier and with a more vibrant personality. Not only will whisky lovers remember the instantly recognizable smoky, complex yet balanced flavors of Johnnie Walker Black Label but remember the progressive and inspirational spirit that John Walker bottled when he created this iconic whisky. And to make it more significant, Mattia Biagi, known for his powerful black artworks, has collaborated with Johnnie Walker to find the perfect expression of the character of BLACK LABEL. Focusing on dramatic transformation that symbolizes classical luxury, Johnnie Walker Black Label is turned strikingly black and intense with the use of paint and fire encouraging whisky lovers to “HAVE BOLD TASTE AND INTENSE CHARACTER”. She also adds that she hope that guests leaving Make It Black will see that making bold statements and having courage in your convictions leads to amazing results and go on to feel inspired to express their individuality with their own bold statements. It is definitely going to be an event to remember as we celebrate and savor the taste of the Johnnie Walker Black Label! We'll definitely be expecting the unexpected tomorrow !